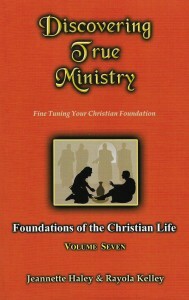 Discovering True Ministry is the final volume in the seven series of informational books prepared in compliance with the Gentle Shepherd Ministries Discipleship Course. This volume contains the combined talents of the two founders of the ministry, Jeannette Haley and Rayola Kelley. The diversity of challenges that confront Jesus’ followers and that tests their character and buffets any spiritual advancement are clearly brought out in this volume. The ministries of these two women represent 53 years of Christian service. As you will gather from this volume, their experiences concerning ministry and adversities are many, but the spiritual treasures they have gleaned from such challenges far outweigh the difficulties. Jeannette’s first book in this volume, Interview in Hell, will challenge people’s perspective about the real issues surrounding ministry. Jeannette’s second book, Interview on Earth, finds the heavenly messenger, Maschil, who was introduced in the first book, given a special assignment on earth. To Machil’s dismay, the assignment he has been entrusted with is not just a matter of ensuring the Gospel’s impact on those who are heirs to salvation, but he must also confront the great heretical darkness that is invading the professing Church. In the third and final book by Jeannette in this volume, you will see the personal fiery preparation a servant of God may have to endure to come to a place where God is able to use him or her for His glory. Rose of Light, Thorn of Darkness highlights some of Jeannette’s personal experiences in the fiery ovens of preparation, spiritual enlargement, and growth. Jeannette manages to paint a mosaic of her real-life challenges and afflictions that included intrigue, personal battles, and spiritual challenges through the life of the main character, Julie Danza. Rayola’s first book in this volume, From Prisons and Dots to Christianity, presents a powerful insight into the process that must take place to bring a believer to perfection in Christ. By revealing the inner struggles that often take place in this process, it allows the reader to see into the author’s heart, life, and mind. 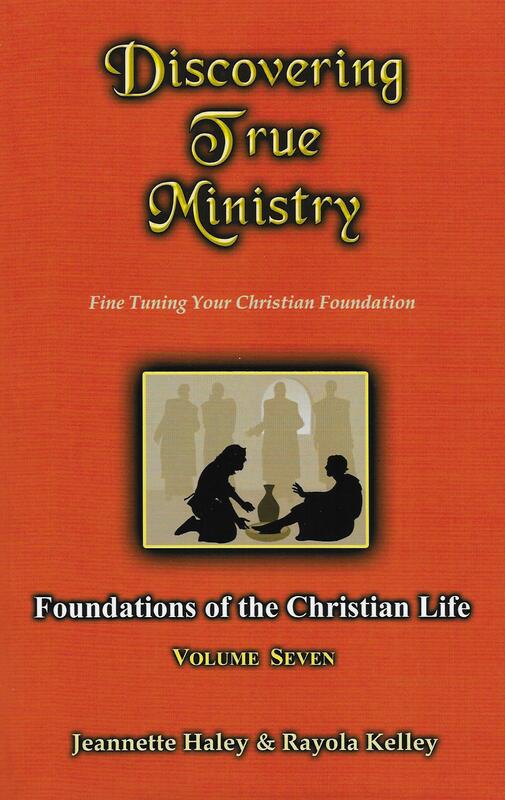 In the final book, So You Want to be in Ministry, Rayola gives insight into the real shaping and molding of God-ordained ministries. Often formed in travail and tested in the challenging harvest field of humanity, they show that true ministries of God do not just happen. Servant ministers must be prepared and personally shaped by the hands of the great Potter to be used for His glory and purpose.